Veramonte came to life in the late 1990s in Casablanca, a valley unheard of at that time within the wine industry. 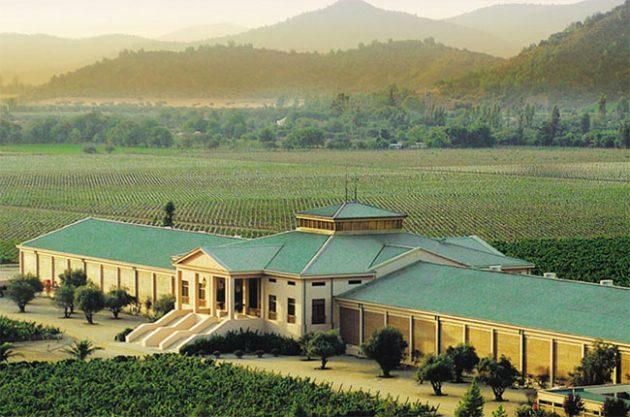 Led by grand visionary and pioneer of Chilean wine, Agustín Huneeus was the first to invest in the area and introduce the world to Veramonte and Casablanca. Today, Veramonte is a part of González Byass, a family company founded in 1835 that has maintained their values for five generations. James Suckling 93"This is gorgeous and reserved with sweet strawberry, delicate spice and cedar character. Medium to full body, with ultra-fine tannins and a clean finish. Hints of mineral too. This is truly exciting. Drink now. Wine Enthusiast 91 "This Cabernet-led blend of four grapes opens with slightly medicinal, granular aromas of latex and iodine, but with time earthy black-fruit scents take over. Primus delivers a dense, meaty mouthfeel and saturated, almost heavy flavors of ripe blackberry, blueberry and chocolate. Wine Spectator 90 TOP 100 2010 Rank 87" This is mouthfilling, but stylish and focused, offering lush cherry and raspberry fruit that's layered with additional spice and sweet tobacco notes. Nicely integrated toast frames the finish. Drink now."